What makes a Persian Rug a Persian Rug? 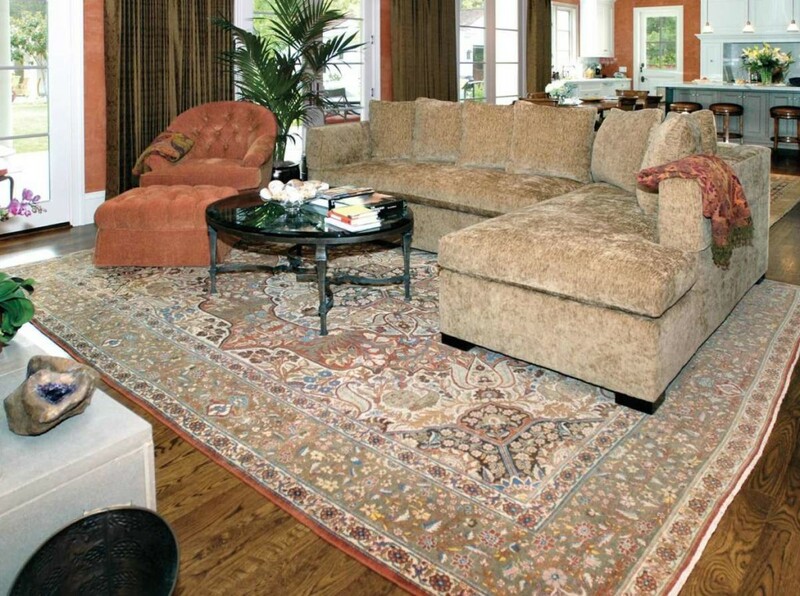 Persian rugs are highly sought after for their beauty, craftsmanship and durability. A genuine Persian Rug of the highest quality can command a price tag in the millions of dollars. Also known as Persian Carpets, these historically significant works of art are made for commercial and residential uses, and also for cultural symbolism. Usually a Persian Rug is understood to refer to pile-woven textiles, however flat weave Kilim and Soumak rugs, and embroidered Suzani carpets are also threads of the dare we say it, ‘rich tapestry’ of Persian rug making. The earliest roots of the ancient art of Persian carpet weaving can be traced back to 400BC, when classic Greek author Xenophon describes them as precious works of art worthy of use as diplomatic gifts. 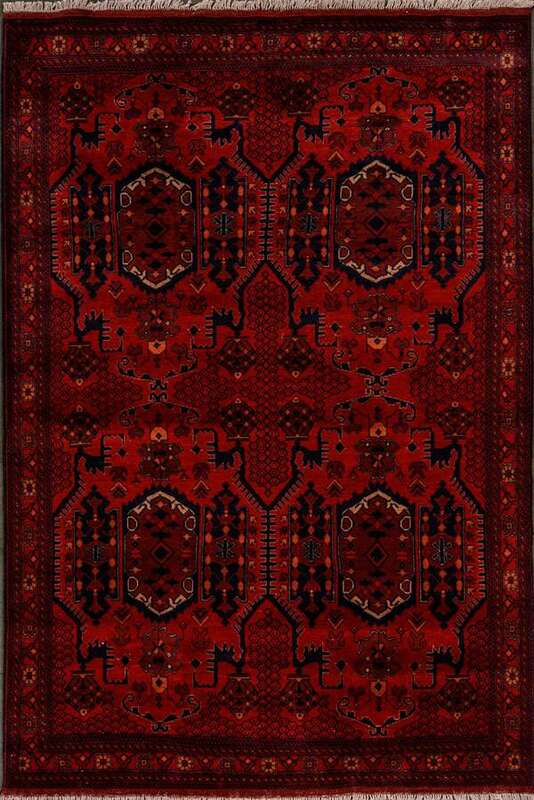 Most Persian rugs use a pile of sheep’s wool with cotton warps and wefts tensioning the foundation of the rug. 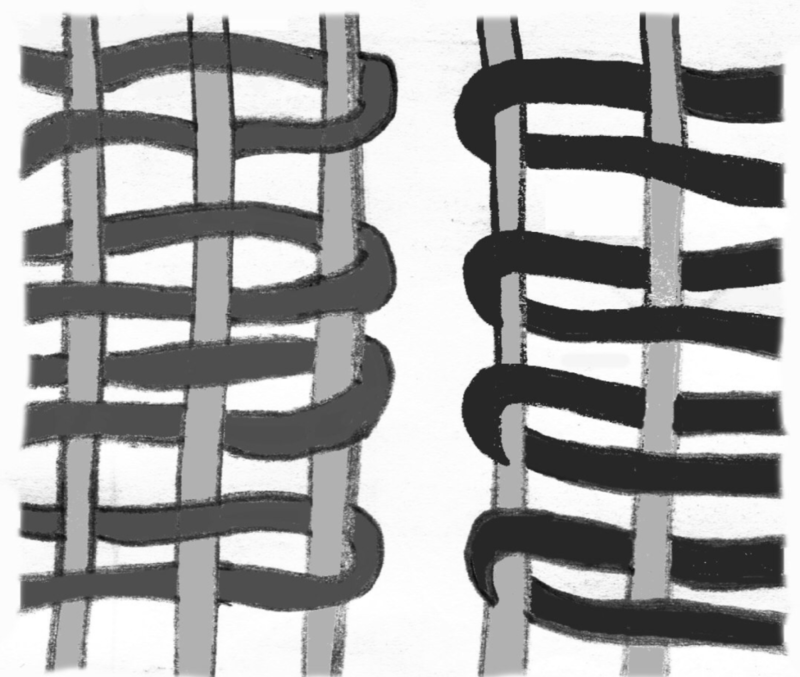 Warps are strong thick threads which run the length of the rug. Wefts pass under and over the warps from each side of the rug. Sometimes silk is used for warps and in pile, either to highlight elements of design or as the entirety of the pile material, which is most commonly seen in wall hangings. Weaving a pile rug is an enormously time-consuming and skilled process which can take anywhere from a few months to several years depending on the size and quality of the rug. 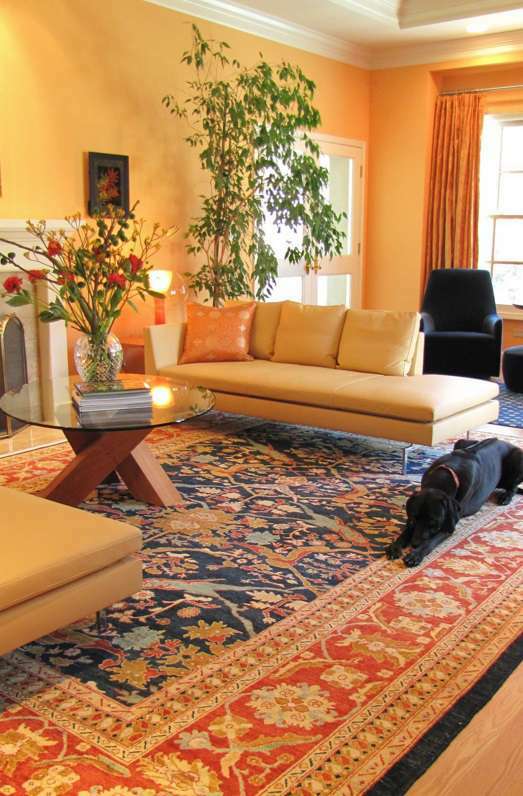 A commonly used indication of the quality of a rug is its knot count per square inch. 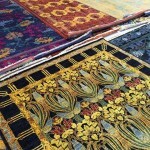 On average Persian Rugs range from about 30 to 300 knots per square inch. 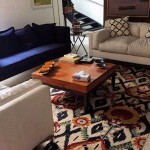 For more information about Persian Rugs and what to look for when buying them feel free to get in touch with West End Co.’s Daniel Axiak by clicking here. 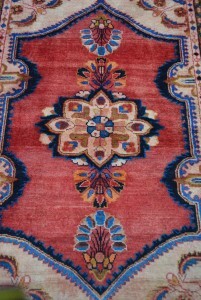 We have recently landed a very unique Chobi rug in rich Blues, reds, creams, and greens at West End Co. It is a very different rug from the typical vegetable dyed rugs we usually have. The colours are more like very fine Kazak rugs, rather than Chobi. 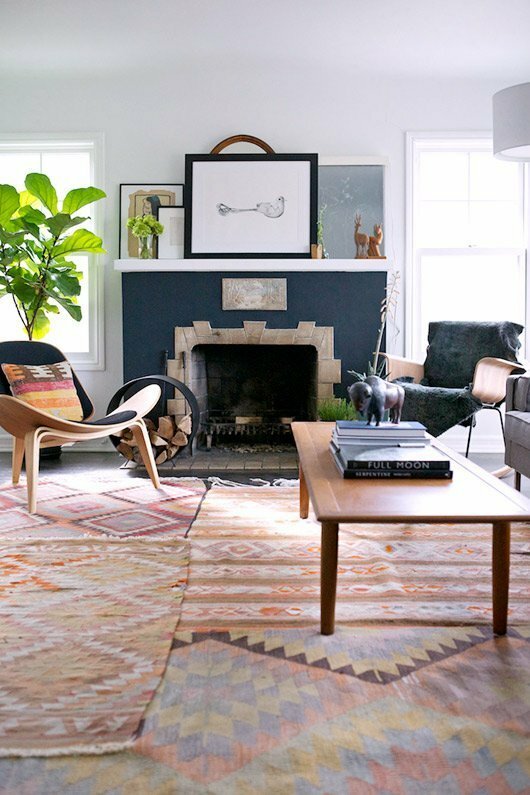 The rug in this image is similar to ours, although I think ours is more complex in its design. We are glad to see some fresh designs and risky colours recently with these decorative and very unique Afghan rugs. Vintage Persian rugs at West End Co. 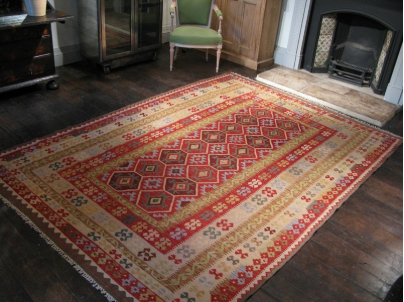 There is just a look and feel to an older hand knotted rug that stops people in their tracks. 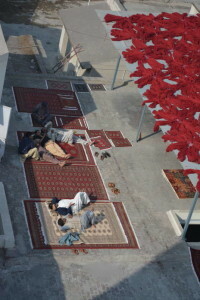 I often hang an older persian rug outside on the wall of my store…. More often than not, someone wonders into my store and says, “I want that one”!!! 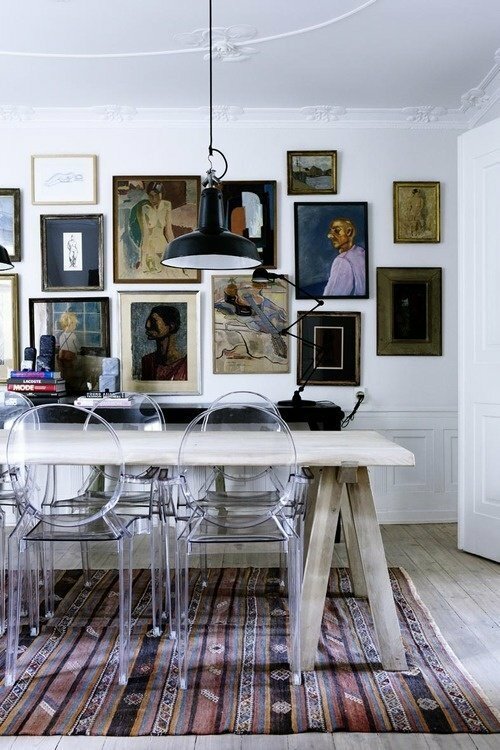 With time, Persian rugs soften in colour and mature. 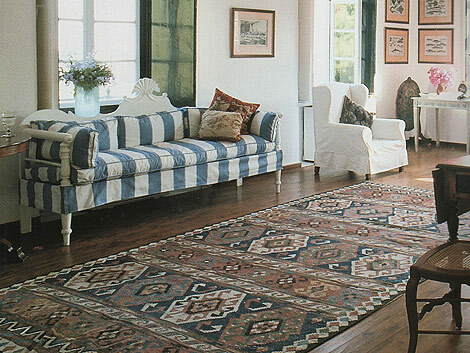 Older Persian rugs also have Abrash, ribbons of inconsistent colour, throughout the rug. With very old Persian rugs, there might be a spot of repair here and there. Further testament to their longevity and the value of old world hand crafted items, in an age of mass produced throwaway consumerism. 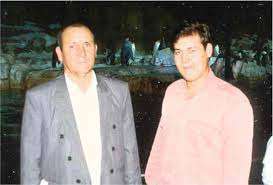 I have just returned from a buying trip in Pakistan. Due to the political and security situation in Afghanistan, all of our trade is done in Pakistan. 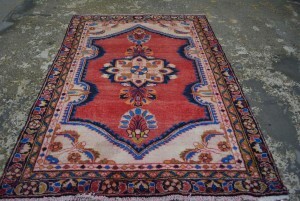 We have a container full of beautiful hand knotted rugs on the way, many of which are exclusive to West End Co. Most notable is a new range of vegetable dyed Chobi rugs… See the image below for an idea of our Chobi range…. these rugs are drying in the sun after their final wash. Chobi rugs are hand knotted in the Herat region of Afghanistan. They are knotted with Vegetable dyed hand spun Ghazni wool. 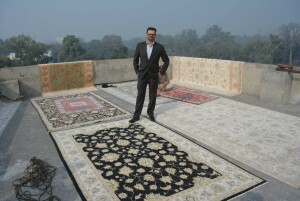 These rugs have to be seen to be appreciated. 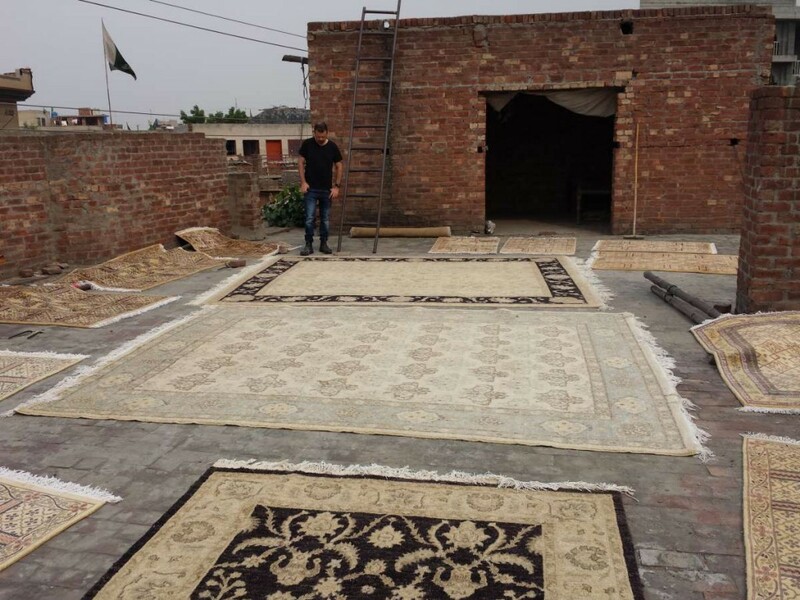 If you are looking for a Persian rug, Turkish rug, or Afghani rug in Sydney, Brisbane, Melbourne, Adelaide, or Perth, look no further than Wet End Co. Rugs. “Gypset Style explores the unconventional, wanderlust lives of these high-low cultural nomads and the bohemian enclaves they inhabit, as well as their counterculture forbears, such as the Victorian explorers, the Lost Generation, the Beatniks, and the hippies”. I guess I was showing my age by not being up to date with the latest buzzwords. 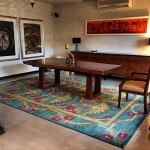 Nonetheless, I was encouraged by my client’s youthful appreciation of our handwoven rugs, and inspired by the genuine interest in decorating their home with something real and created with love and care. Whilst ‘gypset’ is the latest fad word that will, like other buzzwords, eventually become unfashionable, the kilim rugs that gypset describes have been around for centuries and no doubt will continue to be sort after decorative items for generations to come. 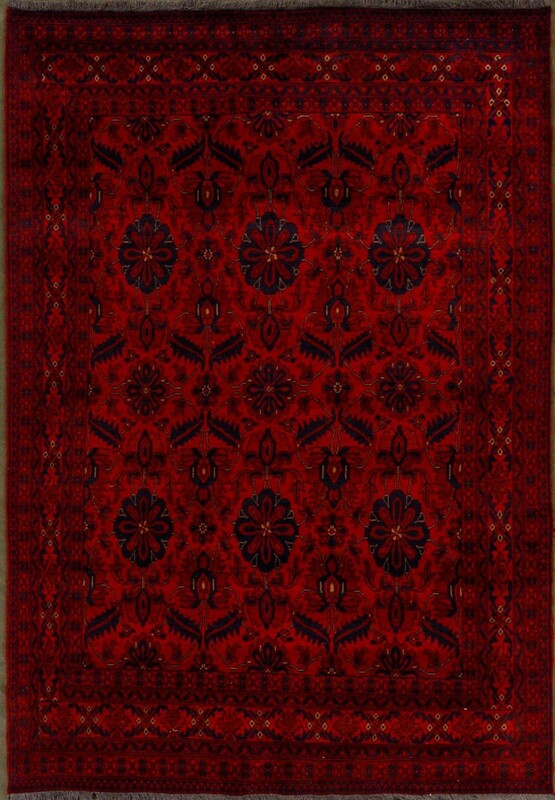 The image below is a vegetable dyed kilim. We have a very large selection of these kilims as well as the darker and richer coloured kilim rugs called Gulmori. West End Co. is Brisbane’s largest retailer of hand knotted and hand woven rugs. 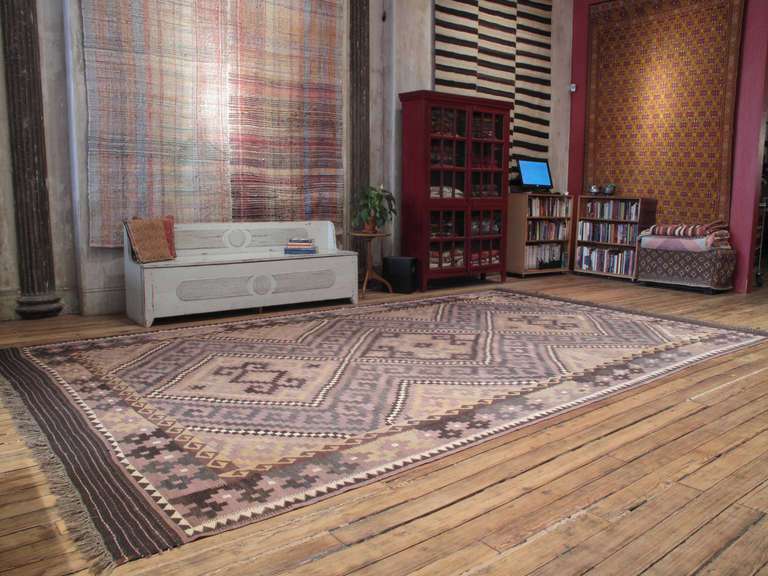 If you are a Queenslander in the market for a Persian rug, Turkish Rug, or Moroccan rug, please visit our Brisbane store. If you are looking for a Persian rug, Turkish Rug, or Moroccan rug in Melbourne, Sydney, Adelaide, Perth, or Tasmania, then look no further to our range available on our online store. Nothing finishes a room like a well chosen rug. 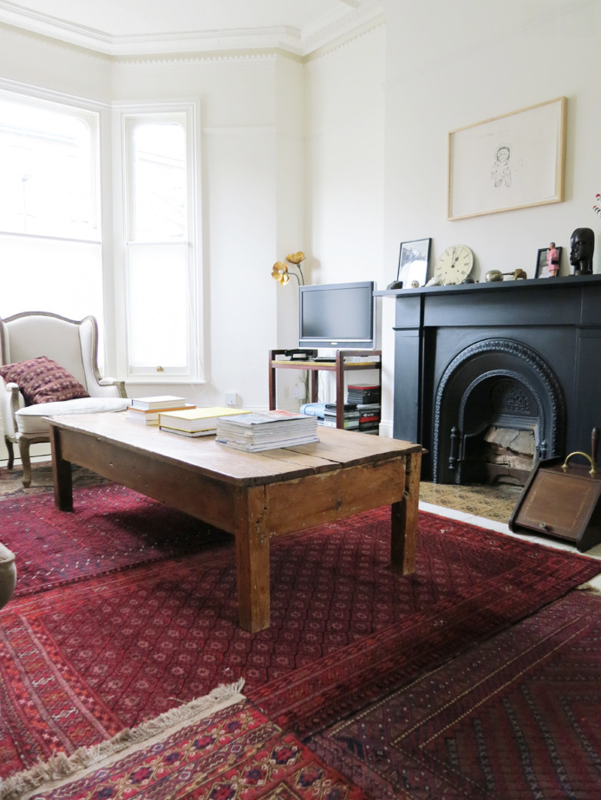 A kilim rug, with all its colour and vibrancy, is the perfect choice for a Brisbane home. Kilim rugs are woven, so more portable than their rug knotted cousins. 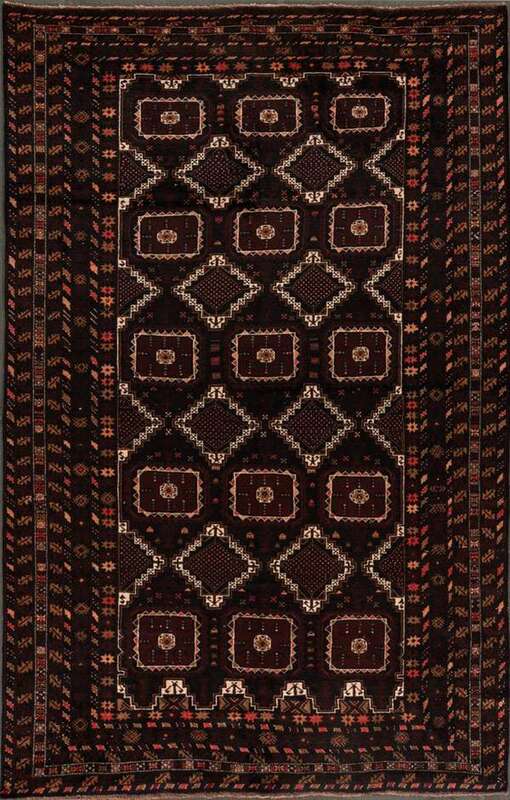 Kilims are thought to have originated in Mongolia and soon became popular from Persia to the Balkans. 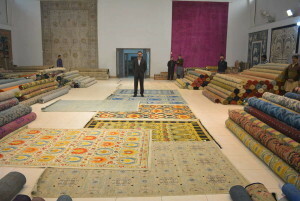 The word kilim in Farsi means, ‘to spread roughly’. Highly durable and hand knotted with beautiful, intricate designs, Kilim have always been a popular item in West End Co.
Our 3 * 2m kilims start at $220. View our range of kilim rugs in stock or visit our rug showroom in West End, Brisbane, to see and feel the rugs in person.